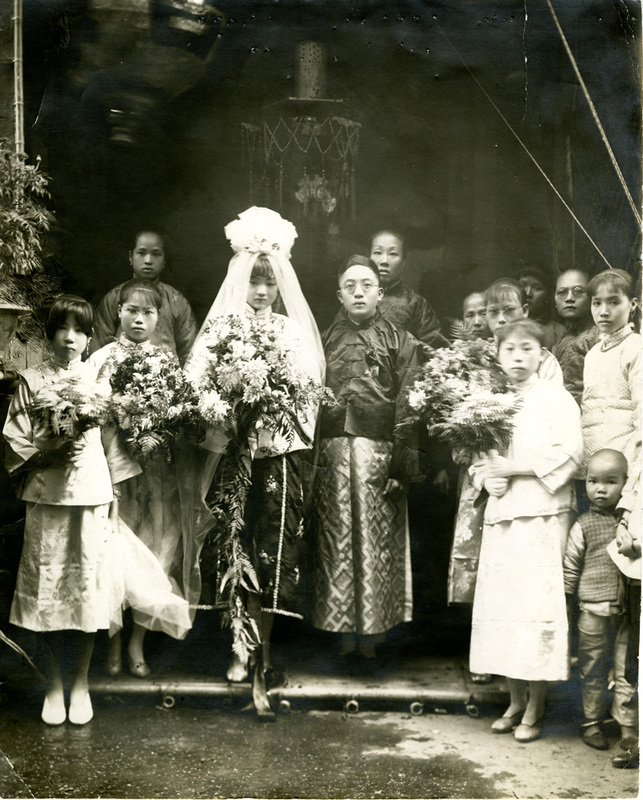 Chin Bing Hung and Fong Chung Hing wedding photo, 1926, Chinese Exclusion Act case files, RG 85, National Archives-Seattle, Chin Ben Hung file, Portland, Box 69, Case 5010/457. Chin Bing Hung and Fong Chung Hing were married on 1 February 1923 in Hong Kong. The other people in the wedding photo are not identified.